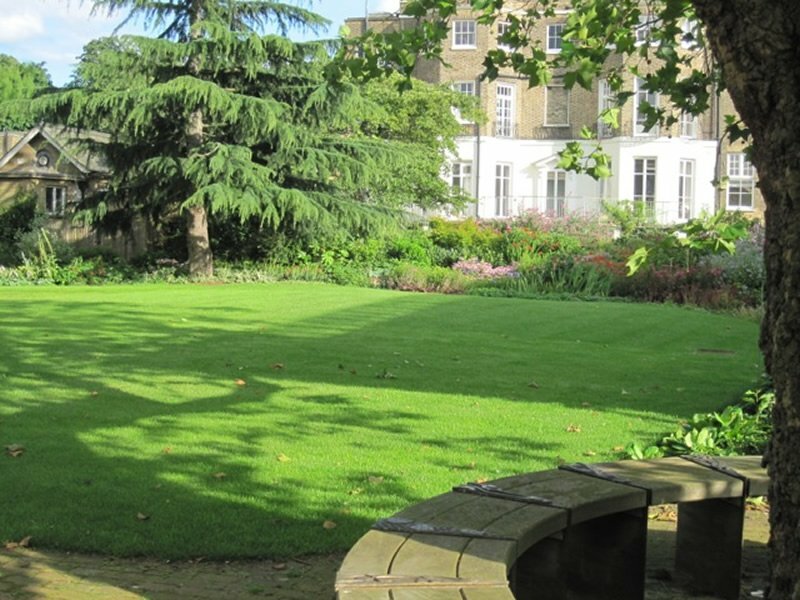 Housed in the grounds of elegant Georgian buildings, the south front of the hospice overlooks 200 acres of Clapham Common while high walls to the rear enclose a private garden of nearly two acres. 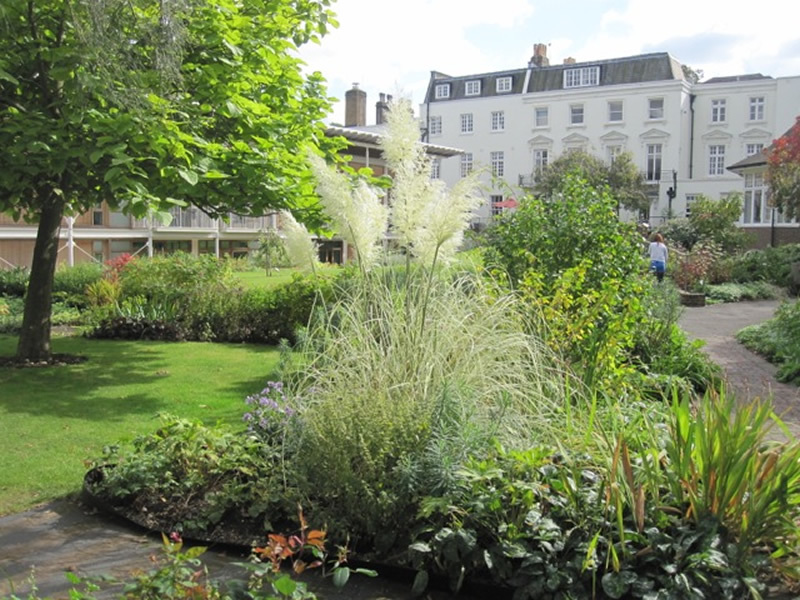 In recent years the original clarity of Lanning’s landscape design had become lost and it was acknowledged that significant work was needed to re-generate all areas of the garden. 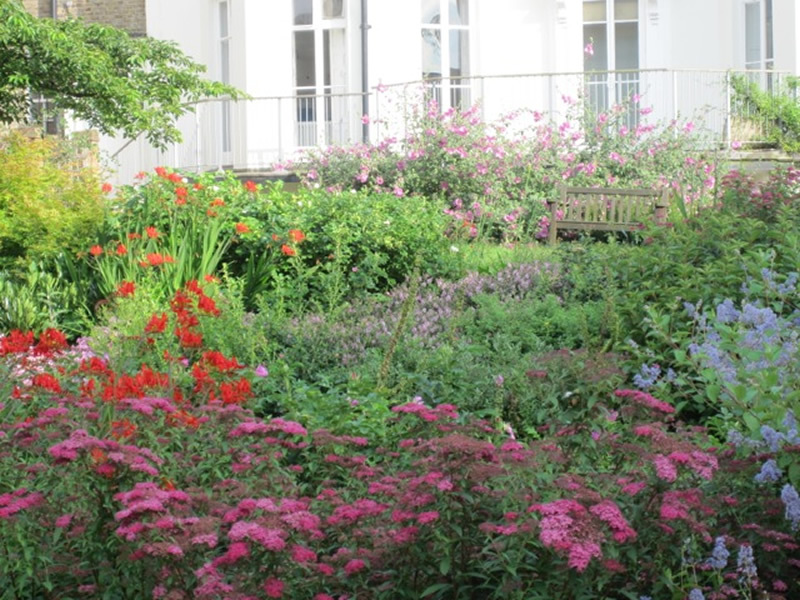 When we were planning the building of our new inpatient centre in 2007 and it was agreed that the design of the garden was to be at the forefront of that development. The new gardens, designed by tp bennett and completed in 2009, have been created to give every patient a sensory experience through colour, texture, fragrance and structure, and to provide private and recreational areas for individuals and families including children. All patients have direct views to the gardens from their bedrooms via individual terraces on the lower level and balconies on the upper level. Communal areas also have direct views and access to the gardens. 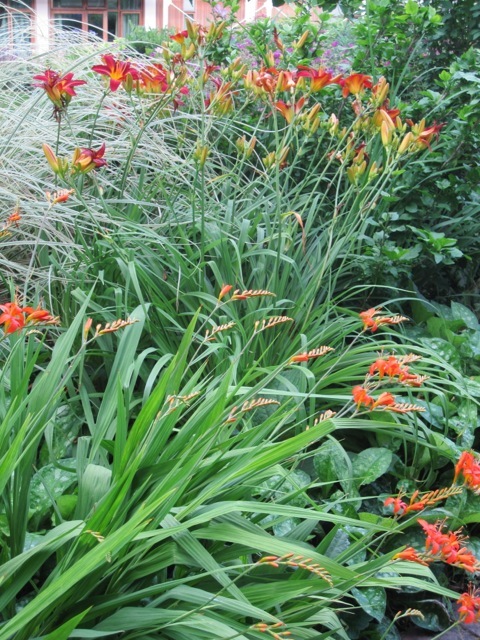 The soft colours of the planting scheme are interspersed with warm and hot colours for year round interest. The design incorporates sunny terraces for spring and winter access along with cool areas for summer shade and although the levels of the garden vary, wheelchair access has been maintained almost entirely across the site. There are at least thirty different kinds of shrubs, over thirty-five types of herbaceous plants and twenty-five varieties of shrub roses. The garden also includes forty-seven different types of hellebore, a collection of twelve herbaceous geraniums, eight fruit trees (cherry, pear and apple) as well as three specimen magnolias – stellate, tulip and galdius. There are two wild flower meadows – a mixed cornflower meadow by the pond and a mixed wildflower meadow near to the bee hives. In the spring there is an abundance of bulbs in flower – over 4,000 mixed daffodils and narcissi along with 3,000 grape hyacinths. As in a much larger park, not all of the garden can be seen at one glance. 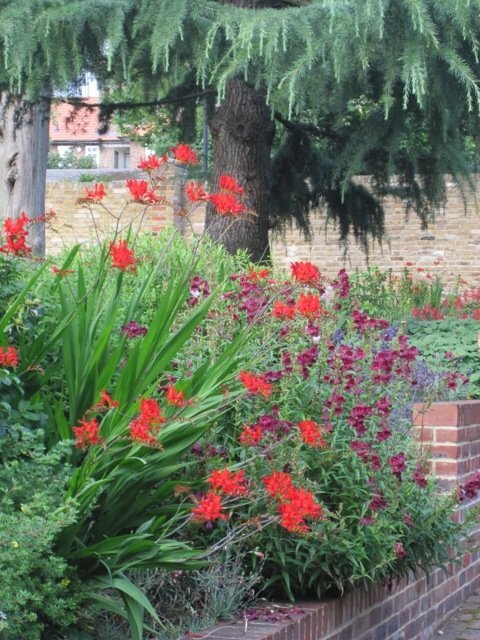 Much of Lanning Roper's original vision has been maintained with pathways that take people through a journey into the garden with seating and rest areas under trees, on the lawns and in a covered pavilion, with the existing and new garden areas linked seamlessly. 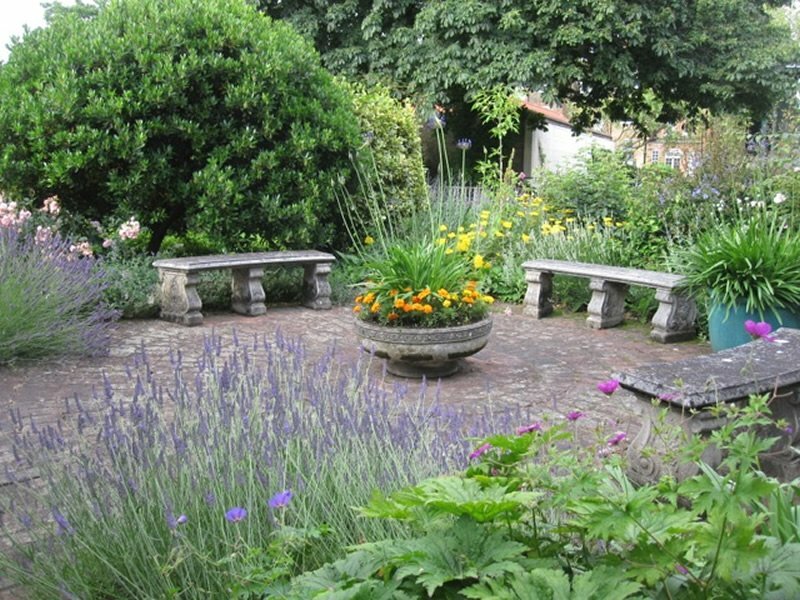 The garden has plenty of opportunities to stop and sit down. 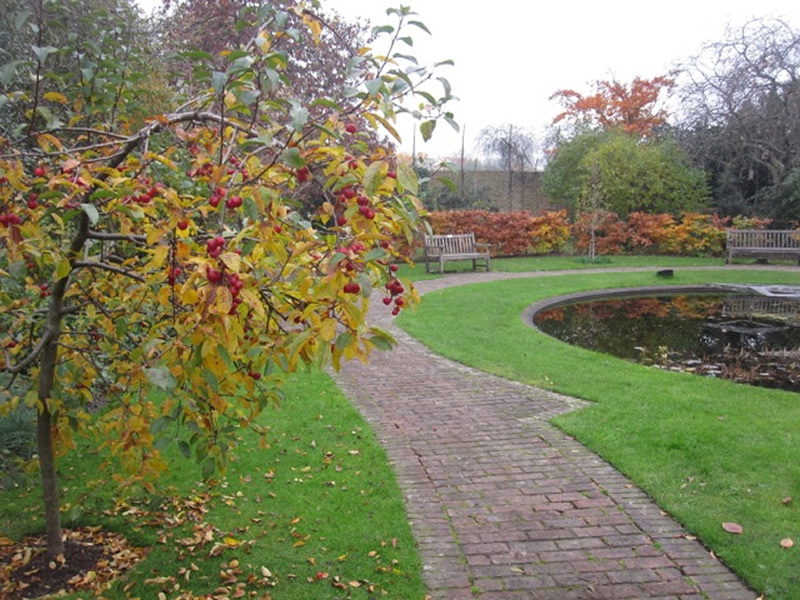 A circular paved area surrounded by shrubs on the way to the pond is always a popular place. The benches around the pond are well used throughout the year as is the covered seating area on the other side of the garden. A very beautiful circular seat, made of oak and beaten Copper was commissioned in 2009 and surrounds the plane tree. This is a particularly peaceful part of the garden and has lovely views of both the new inpatient centre and the lovely old Georgian buildings. 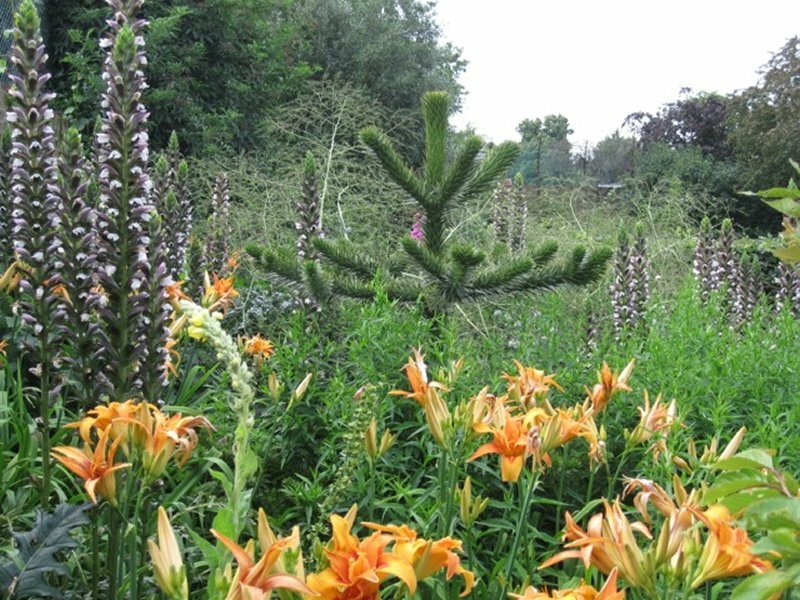 The garden today lead by Head Gardener Terry Salter encourages and supports a large variety of wildlife. 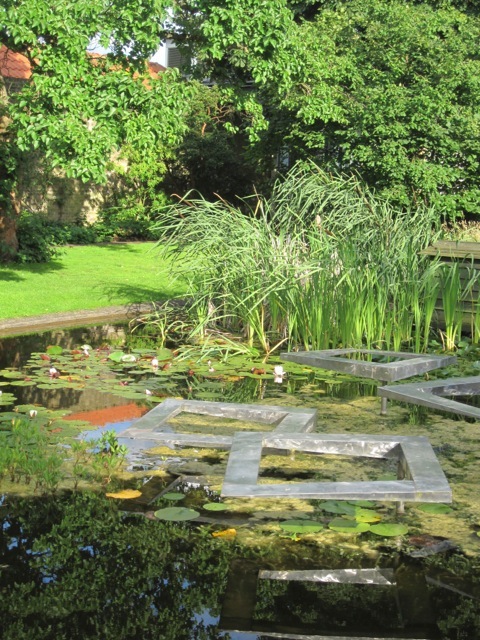 At the far end of the garden there is a large pond stocked with goldfish, mature koi carp and water plants. The pond is visited each spring by ducks that nest in the pond’s duck house. Birds are encouraged by a number of bird boxes and feeders with nearly fifty varieties of indigenous birds counted. Hedgehogs are resident in the garden and use the boxes provided for their hibernation – they are a great way of keeping pests under control. Just as good are insects of which we have many varieties in the garden including 10 species of dragonfly (including the Emperor dragonfly) and 15 species of damselfly. The garden has five bee hives – which we hope to add too in the next year or so – along with a large variety of bumble bees.